Tai Ping Hou Kui is Chinese historied famous tea, which was created in 1900.Tai Ping Hou Kui is produced in north food of Huang Shan Mountain. 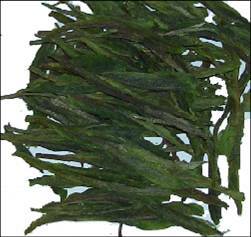 The form of the tea is straight、stout 、strong and burly,the color is dark green,it has white floss at every pore,the soup is clear and green,the smell is salubrious,the taste is good.Tai Ping Hou Kui has three grades:top grade is Hou Kui,the second is Kui Jian,the third is needle tea. According to many feedback of the customer,Tai Ping Hou Kui is be beneficial to the sufferers of chronic pharyngitis and the people who smoke frequently.